Do you have tall, beautiful windows that would be impossible to reach, but a loss to cover up with window treatments forever? Do you have a window right above the kitchen sink with an annoying cord that gets in the way of doing dishes and occasionally finds its way into your garbage disposal? 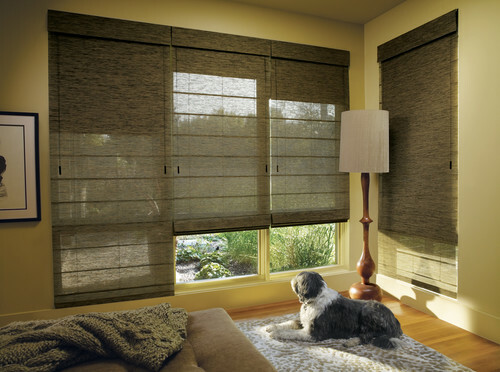 Wouldn’t it be nice to have blinds and shades without cords that you could manipulate from wherever you are with the technology you already have? Hunter Douglas is one step ahead with their Platinum™ App. You can easily operate your window coverings with any Apple or Android device and a sleek wireless remote control. The housing market is heating up and more homeowners are thinking of moving. 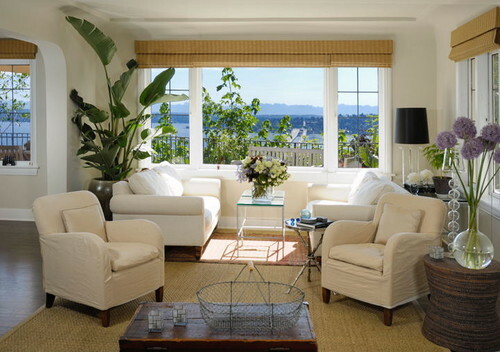 When it’s time to sell, there certain strategies you can take when it comes to your window treatments to optimize views and give your home a finished, fresh look. If you’re trying to keep chemicals out of your home or business, one item to consider is your window shades. PVC, or polyvinyl chloride, is used in a number of household products, including furniture, housewares, and a few particular styles of blinds, such as vinyl horizontal blinds, which are not sold at Hirshfield’s. According to the Environmental Protection Agency (EPA), even short-term exposure to high levels of PVC may lead to headaches or dizziness. Hirshfield’s own Shannon Scarrella says that the roller shade industry has changed greatly since roller blinds that operate via a spring roller were common (those were vinyl). Now, many blackout roller shades are made out of polyester, although some are made out of blends that include a vinyl product. 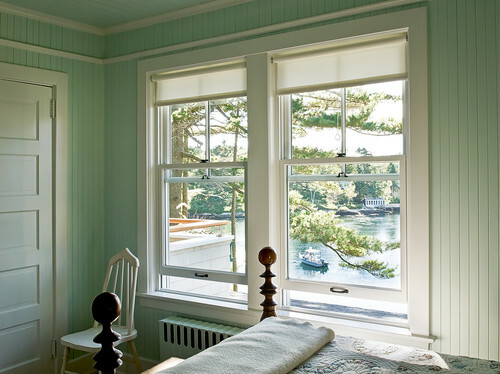 For homeowners who are concerned about PVC exposure, there are a number of PVC-free window coverings. 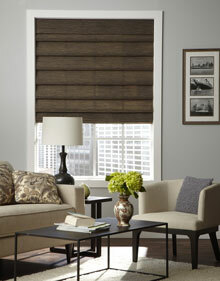 Scarrella’s favorite PVC-free window shade is the Alustra Woven Textures. “You have the appeal of a natural shade with some of the strength of a screen shade, without vinyl or PVC,” she says. Scarrella warns homeowners that when it comes to faux wood, they are not all created equal—many of the faux woods on the market contain a form of PVC. 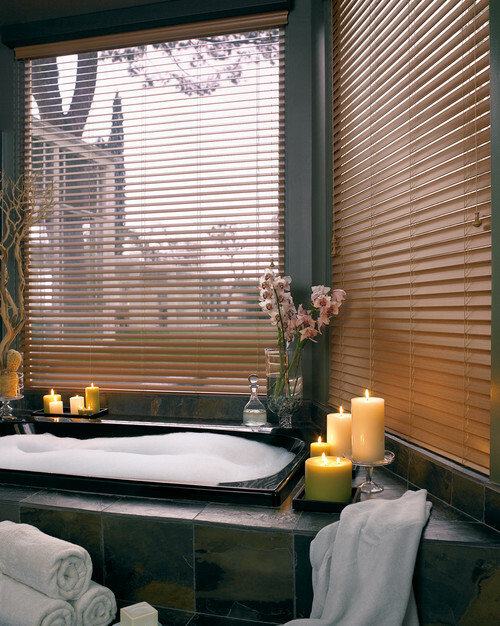 However, Hunter Douglas has its own line of PVC-free faux woods called the Everwood collection. These are made using a technology that’s exclusive to Hunter Douglas. 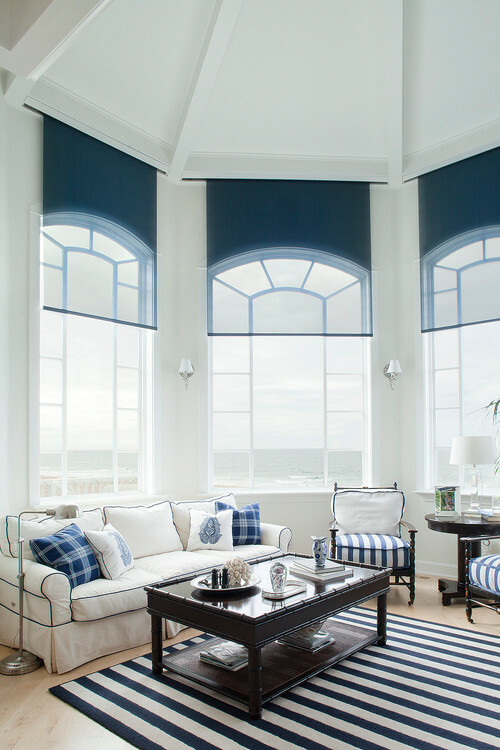 Whether you’re concerned about PVC products or not, Hirshfield’s has a variety of window coverings, including PVC-free window shades, to fit your home and your style. My friend’s office is an atmospheric study of extremes: It’s freezing in the morning and heats up to an unbearable temperature in the afternoon thanks to its south-facing windows. She dresses in layers year-round and has a blanket and slippers on hand for the most frigid mornings, but wears light layers for the afternoon. This week’s WTW is in her honor—there must be a better answer for her office’s climate extremes. We’re seeking advice from Minneapolis window coverings expert Shannon Scarrella about what can be done. “There are many options that could work,” says Scarrella. “In the morning, she is probably looking to let some of the sun in and warm up the space, while doing the opposite in the afternoon. 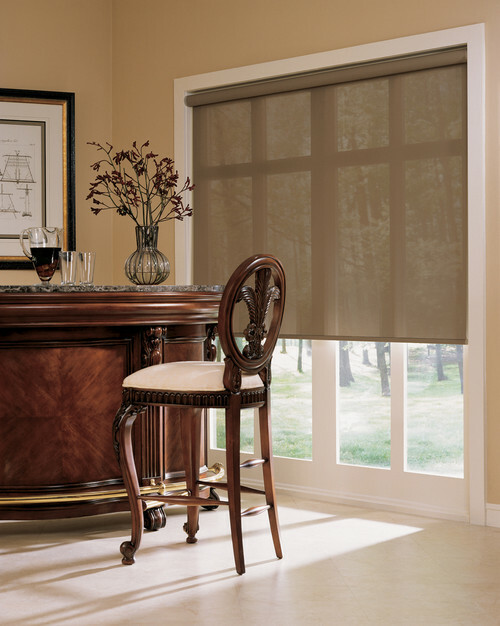 With her larger, industrial windows, sunscreen roller shades have multiple selections with varying openness factors.